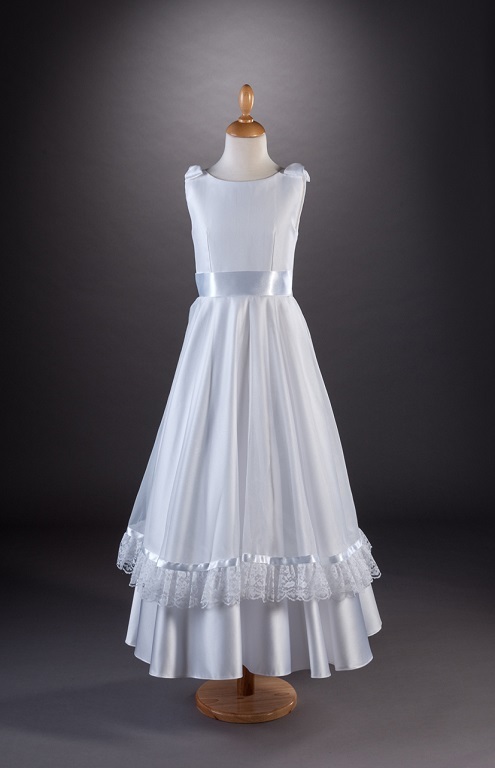 Stunning dress with organza overlay to the skirt, a small handmade bow sits on each shoulder and satin ribbon sits around the waist. Gathered lace and ribbon edge the organza overlay on the skirt. 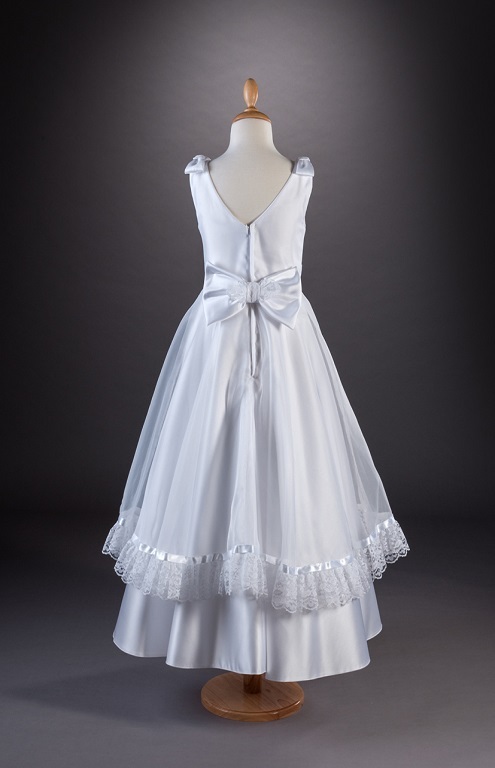 A satin bow with lace detail sits on the back waist.